It could be said that Havana, in its current manifestation, is the newest of the old, a brightly face-lifted queen on a well-worn body. By that I mean – due to its recent renovation completed some months ago – that Havana has the distinction (along with the recently reopened Tin Mine) of being a place that’s been around for ages but has recently seen some serious TLC to bring it back to relevancy. 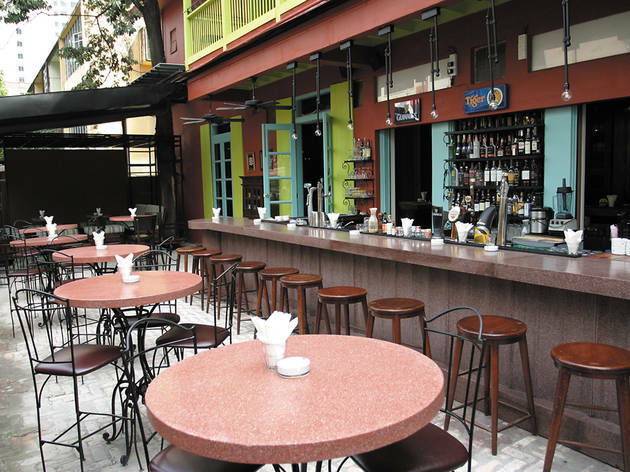 Little Havana had long been an anchor point of the whole Changkat experience, one of the first independent bars and clubs in the city from the late ‘90s onwards. It gave the crowd good beers, a place for some live music (occasionally excellent); it was where you went pre-Laundry days for a fix of indie sounds. But, as it rightly accessed, it was time for a change. 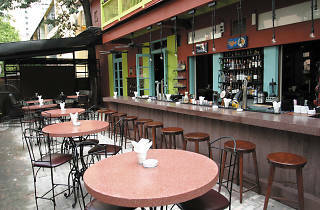 Taken on in a partnership that sees the Magnificent Fish & Chip crew come in for ideas on food and décor, the new Havana (nothing little about it anymore) broke down the walls, coated the place in cool colours, revamped the menu to reflect Dato’ Ken’s (the original owner of Havana) love of Cajun cuisine. Jambalaya and gumbo are now on the menu and serve as a great meal or shared snack with friends as you down some good, reasonable priced beers in the newly created upstairs rooms that are tastefully rendered in Bourbon Street cool or downstairs in the front or soon to be opened back patio. It’s a great place to start a night and when the music policy gets implemented – looking like live music with some DJ sets thrown in – it’ll be a place to hang at for the whole night.